Difference between Loss Assessors and Loss Adjusters? Here we clearly explain to you the differences between loss assessors and loss adjusters and the roles they play in the event of an insurance claim on your home or business. In Ireland Public Loss Assessors are required to be registered by the Central Bank of Ireland. As part of the registration process loss assessors must be able to prove technical competence in the insurance assessment / adjustment profession, usually demonstrated by a loss adjusting qualification obtained by a series of examinations from the Insurance Institute of Ireland. In addition most Public Loss Assessors will hold additional relevant qualifications in areas such as Surveying, engineering and construction to provide an optimum service in the field of property loss assessing and also hold membership of Irish Claim Consultants Association.. The role of the loss assessor is to represent the insurance policyholders or claimants best interests and get the maximum financial payout entitlement under the insurance policy. The Public Loss Assessor can deal with all aspects of an insurance claim including assessing the loss, surveying, costings and settlement negotiations with your insurance company or their nominated representative (‘Loss adjuster’). – Insurance Loss Assessors generally work on a “no win no fee” basis. Loss assessor fees are generally a percentage of the successful claim settlement payout your loss assessor has fought, negotiated and won for you and typically is approx. 10%. Insurance companies will not cover claim preparation fees such as loss assessor fees, surveyor fees & other professional costs involved in ‘proving or preparing’ an insurance claim, however, the increased payout an insurance loss assessor can bring substantially exceeds their 10% fee and in many cases can exceed 30% – 50%. Role of a loss adjuster? When a property insurance claim is made your insurance company appoint a professional claims handler called a “Loss Adjuster” to act solely on their behalf and represent the insurers best interests by interpreting the insurance policy terms and conditions in favour of the insurance company and therefore avoiding a payout by denying the claim or paying out as little as possible for the insurance claim. Some of the loss adjusting firms that Insurance Companies use in Ireland are OSG Loss Adjusters (Out Source Group), Pro-Adjust Loss Adjusters, Cunningham & Lindsey Loss Adjusters, Thornton’s Loss Adjusters, Associated-Davies Group and McLaren’s Loss Adjusters. Insurance Companies give the impression that the loss adjusters that they appoint are independent and impartial (acting like referees) but in fact this is not correct. Since they are employed and paid by the insurance companies they are strictly obliged to follow the claim handling and settlement processes and procedures laid down by insurers, frequently to the detriment of the you the claimant. 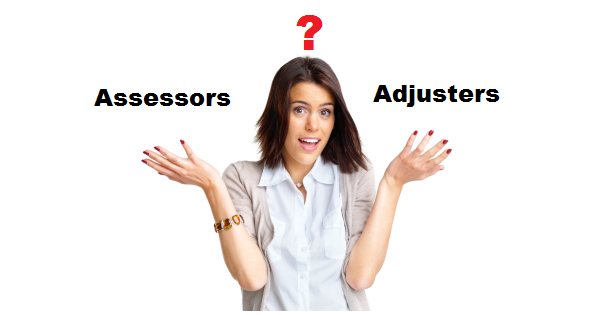 When insurance loss adjusters deal with claims submitted they will “adjust” or reduce the claim amount downwards, it is unheard of for an adjuster to increase the amount due to an omission or error on behalf of the claimant or property owner. Currently the rules in insurance contracts and the treatment of policyholders are unfair and unjust as validated in the 2015 Law Reform Commission Report, nevertheless the insurers will continue their enforcement and their appointed loss adjusters will have no choice or discretion in the application of these unfair insurance practices. Your particular situation & claim is specific to many many details such as type, age & location of your building or property. Couple this with the specifics of how the damage event occurred, layer all this specific detail with the framework of the insurance policy terms & conditions, and also your legal and stautory rights …….. and now you can begin to see just how complex and riddled with pitfalls the insurance claim procedure will likely be. All this is open to ‘interpretation’ by the insurance loss adjuster and any adjustment will be coming out of the claim settlement figure paid out to you the policyholder. A loss assessor is essential to a satisfactory engagement with the loss adjuster & ensuring you will get the maximum payout under the term of the policy. Generally the only difference between loss assessors and loss adjusters is that they work on opposite sides of an insurance claim. Loss Assessors are qualified loss adjusters. Neither the loss assessor or loss adjuster is independent since they are both employed to represent their clients opposing financial interests, and in a claim scenario the Public Loss Assessor (PLA) attempts to extract the maximum payout entitlement from the insurer whilst the Loss Adjuster attempts to avoid or minimise the claim payment. It is absolutely essential for policyholders when making a claim to obtain professional advice or services of a Public Loss Assessor (PLA) if they are to stand any chance of achieving a fair or equitable insurance claim settlement whilst the unfair laws and practices currently applicable in Ireland give unjust advantage to Insurance Companies. Contact Claims Assist Ireland for further details on our Insurance loss assessors services that we can offer you – All our claims advice is provided on a ‘No win, No Fee’ basis & your initial consultation with the loss assessor team is on a no obligation basis.